I came across this website last night and I am pretty impressed with the things they have in there. Makes my PIG look pretty ordinary. Get your hammer and file out and make one! I'll get the wood. Pretty things. I wouldn't even like to think about making one with a hammer and file mate. I reckon it would be pretty much impossible to make one with those "primitive" tools. It would be interesting to see the manufacturing process though. 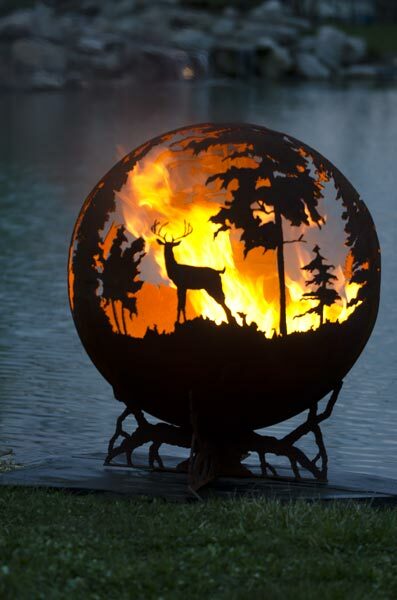 The cutting would be easy enough with either a laser cutter or a plasma cutter, but forming it into a sphere would be the difficult part I reckon. Well then add a hacksaw to the tool list. Man has always improvised thru the ages. Wow this one is cool. I've seen several different configurations but this one I like the best. Wish I had a cabin somewhere to use it at LOL! Easy enough to use it at home Dallan...would look awesome I reckon.